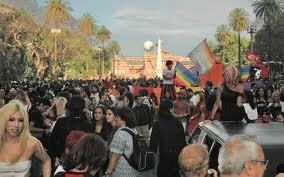 Moving with the times, Buenos Aires has established itself as an attractive destination for the gay community. It´s not arbitrary that the 2006 PlanetOut Travel Award acknowledged it with the title "Mejor Destino Internacional" (Best International Destination) and Spanish Zero magazine declared Buenos Aires "the new mecca of gay tourism". 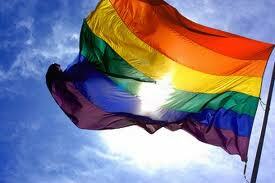 There are places directed at the gay public and other that declare themselves "gay friendly" spots. - Uomobello: Personal Care for men. Te 4816-1044. - Centro de estética Bucal y Facial: 1016 Callao Ave. Recoleta. Te. 4812-4200. - Del Sur: 1960 Alicia Moreau de Justo 4° of. 401. Puerto Madero. Te. 4312-0900. - Kaixo Hostel Central: 1267 Tte. Gral. Juan D. Perón. Te. 4384-9342. - Friendly Apartments: 1234 Callao Ave. of. 508. Te. 4816-9032. - Charlie´s Apartments Buenos Aires: 825 Darwin. Te. 15-5498-6344. - Bayres Gay Bed & Breakfast: 5842. Córdoba Ave. Te. 4772-3877. - Charlie´s Hostels Buenos Aires: 825 Darwin. Te.4856-9852. - Rendez Vous Hotel: 1484 Bonpland. Palermo. - Axel Hotels: 649 Venezuela. San Telmo. Te. 4136-9393. - Charlie´s residencias universitarias: 825 Darwin. Te.4856-9852. - Lugar Gay Bed & Breakfast: 1120 Defensa. San Telmo. Te. 4300-4747. 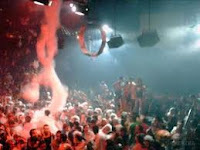 - Buenos Aires a full Relax Center for Men. 1770 Viamonte. Te. 4371-7263. - Tango Queer: 571 Perú. San Telmo. Tuesdays 20 hs. - Tango entre muchachos: 1120 Defensa. Sundays. 17 hs.